If Florida Power & Light get the green light from state regulators, they will be pumping natural gas within four years and transporting the fuel hundreds of miles on a proposed pipeline between Southwest Alabama and Martin County, Florida. This is a two-part project. The northern pipeline will stretch roughly 465 miles from Alabama to a hub in Central Florida. From there, a second line will run 126 miles to an FPL plant in Martin County. This project is in partnership with Spectra Energy Corp., and NextEra Energy. Specific information about this pipeline project in Florida can be found here. The existing pipeline capacity is almost full, so FPL solicited proposals from companies to construct the pipelines. Two companies were chosen, and they will spend an estimated $3.6 billion to do the work. Sole says Florida Power & Light won’t pay construction costs, but it will pay rent – essentially buying the right to move gas along the line. Florida Power & Light has to go through a lot of permitting at the federal, state and local level. This process actually started in 2009 when the company offered up a very different proposal. The Florida Public Service Commission (PSC) rejected the pipeline proposal and told Florida Power & Light to come up with something more cost effective. That led to the current proposal. Tom Ballinger, director of engineering for the PSC, can’t comment on whether this new proposal will be approved. But he can talk about the potential impact. About two-thirds of the electricity FPL supplies to Floridians is produced by natural gas. MATCOR is a leading provider of ISO 9001:2008-certified cathodic protection cable and anodes for cathodic protection. Learn more about our industry-leading cathodic protection services and cathodic protection installation. MATCOR’s blog, Cathodically Protected, offers the latest insights on cathodic protection equipment and more. San Bruno one year on…Consumers will be asked to help pay for billions in gas pipeline upgrades needed after Bay Area blast. Power companies and private operators across the nation are racing to improve the safety of about 150,000 miles of natural gas pipelines built before 1970 — about half of all gas transmission lines in the United States. The National Transportation Safety Board, which just completed a year long investigation of the San Bruno explosion, found that the older pipelines might be particularly vulnerable and in need of immediate inspection and repair. To help pay for the work, three main gas suppliers in California have requested rate increases from state regulators. Paul Clanon, executive director of the California Public Utilities Commission, estimated that utility customers could see an increase of 5% to 10% in their bills depending on what commissioners decide. In a joint proposal, the Southern California Gas Co. and San Diego Gas & Electric are seeking rate hikes to pay for $1.75 billion in pipeline improvements by 2015, which would steadily increase monthly utility bills by more than $2.80. Both utilities have yet to seek rate hikes for an additional $1.25 billion in planned pipeline projects to be completed by 2021. Pacific Gas & Electric Co, which serves the Bay Area and Northern California, wants to spend $2.2 billion by 2014 to test and improve its 6,000-mile network of natural gas pipelines. The monthly bill for a typical household is expected to rise by about $2, and business customers can expect an increase of about $15. For many Southern California residents, the proposed hikes are coming on top of $3.2 billion in rate increases sought by Southern California Edison to upgrade its aging electrical grid. If approved, the plan would result in a 9.1% increase in the monthly bill of the average residential Edison customer. Consumer advocates have opposed the plan, which, they claim, is salted with questionable allocations for pensions and pay raises. The effort to hike rates to finance pipeline projects could become just as controversial. Consumer groups, such as the Utility Reform Network based in San Francisco, are reviewing the proposals to determine if the costs and new charges are justified. They can lodge responses with the Public Utilities Commission. Nationally, the improvements will cost utilities and pipeline operators tens of billions of dollars in the next decade — and that will probably mean more efforts to recover the additional expenses. “It is fair to assume that the cost will get passed through to consumers,” said Don Santa, chief executive of the Interstate Natural Gas Assn. 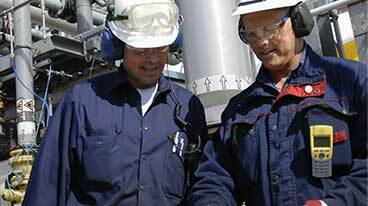 of America, an industry group of pipeline operators, including large power companies. Helping to drive the improvements are 29 recommendations issued more than a week ago by the NTSB. They are designed to improve the safety, inspections, emergency plans and regulation of the nation’s extensive grid of natural gas transmission lines. The recommendations were announced almost a year after eight people died and 38 homes were destroyed when a defective natural gas pipeline built in 1956 ruptured and sent a huge pillar of fire into San Bruno, a Bay Area community. Board members blamed the inferno on a long history of safety problems at PG&E and weak oversight by state and federal agencies. The utility is also under investigation by the Public Utilities Commission and could face substantial fines, Clanon said. Regulators and gas industry representatives say various initiatives are already underway by the government, private companies and local utilities to more thoroughly inspect pipelines and repair or replace at-risk sections. Clanon said that earlier this year, the state Public Utilities Commission ordered all pipeline operators to pressure-test their transmission lines built before 1970. One of the NTSB’s priorities is elimination of a “grandfathering” clause in federal and state law that has exempted utilities and companies from performing high-pressure water tests on natural gas pipelines built before 1970. Another key recommendation would require operators to modify their lines to accommodate inspection tools that can run inside a pipe and detect flaws, such as bad welds, cracks and corrosion. The two methods of testing had been previously opposed by industry groups. Other recommendations call for automatic and remotely controlled shut-off valves, reviews of regulatory agencies and PG&E’s procedures, better emergency management plans and more thorough record-keeping. U.S. Secretary of Transportation Ray LaHood and Rep. Jackie Speier (D-Hillsborough), whose district includes San Bruno, are now proposing legislation to make pressure testing mandatory and to give the federal Pipeline and Hazardous Materials Safety Administration more enforcement power. Other bills are pending in the California Legislature. Industry representatives say it is too early to determine the total cost of the national effort to improve the pipeline system. They added that the overall price will depend on the timing of the recommendations and how cost-effective they are. Oliver Moghissi, president of the National Assn. of Corrosion Engineers International, a professional organization with 27,000 members, said, for example, that he would like to see recommendations that require more pressure testing of older pipelines but on a case-by-case basis depending on conditions and available information on the pipeline in question. Under a broad mandatory rule, Moghissi said, some pipelines could be tested unnecessarily. HELENA, Mont. (AP) — A northwestern Montana oil spill that went unreported for a month has led to calls for increased scrutiny over the thousands of small flow pipelines within the nation’s oil and gas fields. Flow lines are completely contained within the fields and pipe unprocessed oil, gas and water from wells to holding tanks and separating facilities and aren’t regulated like larger pipelines, such as the one that broke under the Yellowstone River earlier this month. But flow lines often face the same issues of corrosion and defects, and should fall under the same federal regulation as larger transmission pipelines, conservation advocates say. The broken line at the Cut Bank oil field on the Blackfeet Indian Reservation 50 miles east of Glacier National Park may have been slowly leaking oil for up to two weeks before FX Energy Inc. discovered it on June 12. FX Energy officials attributed the break to shifting ground during last month’s heavy rain and flooding. The Salt Lake City-based company fixed the break and shut down the two small oil wells that fed the line, but never reported it to the tribe or the Bureau of Land Management, which oversees the tribe’s mineral leases. The spill — estimated to be up to 840 gallons — then spread nearly a mile down a steep coulee and into the Cut Bank Creek before a neighboring landowner discovered the stained ground on July 12. A cleanup crew has been digging oil by hand from the steep, treacherous ravine for more than a week. There have been no signs of wildlife affected by the spill. The company is paying for the cleanup and has pledged to permanently plug the wells that fed the broken line. Grinnell Day Chief, the tribe’s oil and gas director, said the company has been very cooperative. FX Energy is one of the largest of the 15 oil and gas companies with production or exploration leases on the Cut Bank field. Combined with its five wells at Bears Den field and a small interest in two wells at Rattlers Butte field, FX Energy leases a total of 10,732 acres in Montana and produces 184 barrels of oil per day. The broken flow line is one of many that gather oil from FX Energy’s 125 wells on the declining field, which has been producing oil since the 1940s. Many of the 4-inch flow lines are 40 or 50 years old, said Don Judice, the BLM’s Great Falls supervisor. 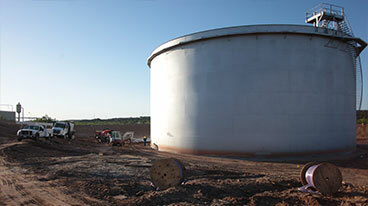 Because the failed line only carried unprocessed oil from wells to a central tank and never left the oil field, there were no requirements to inspect it, test it for corrosion or perform any preventative maintenance to ensure it doesn’t break. But depending on the outcome of an investigation into the recently discovered spill, federal officials may require FX Energy to upgrade all of the aging flow lines that carry oil from the wells to tanks on the Cut Bank field, Judice said. It was not immediately clear how many flow lines there are, since the lines generally gather oil from more than one well. Judice and Day Chief each said they recalled only one other significant spill from a flow line in the past decade. Day Chief said another oil company that leases a different part of the sprawling field is already in the process of voluntarily upgrading all of its flow lines. He said the tribe hasn’t discussed recommending a similar remedy for the FX Energy itself, but would support the BLM if it required FX Energy to do so. “We would back that 100 percent,” Day Chief said.